Advertisers are paying top dollar for Super Bowl commercials this year, with the price of a 30-second spot hitting a record high of at least $4 million. "We don't confirm exact pricing, since all spots are sold with different considerations and often in different packages," said CBS (CBS) spokesman Dana McClintock, in an e-mail to CNNMoney. "But it's safe to say that spots are going for $4 million each, and in some cases more." CBS Sports is broadcasting this year's Super Bowl on Feb. 3. The biggest football game of the year will be played in New Orleans. The playoffs to determine which teams will participate in the game begin Saturday. McClintock said the air time is filling up quickly. Related: Remember last year's Super Bowl ads? "We are nearing the finish line, but not sold out," he said. The $4 million price tag beats last year's record, when broadcaster NBC Sports charged an average of $3.5 million for a 30-second spot. This year's advertisers include Pepsico (PEP), which said on its website that it will run spots during the game. 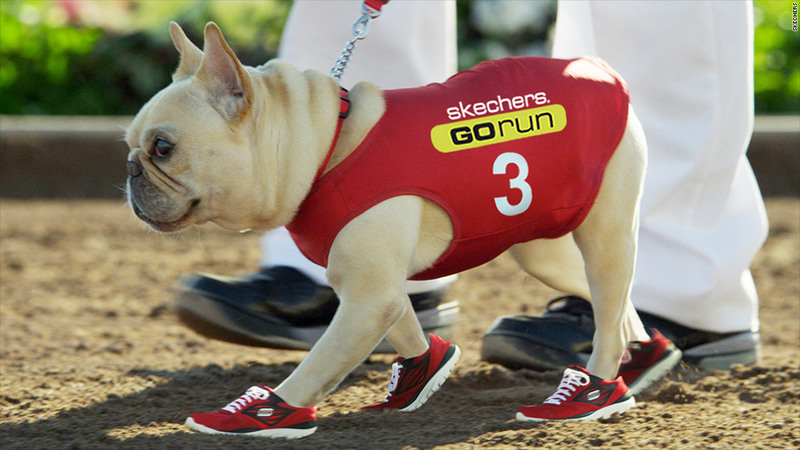 German automaker Audi, Internet domain company GoDaddy, South Korean carmaker Hyundai and athletic shoe maker Skechers (SKX), which replaced Kim Kardashian in its spot last year with a French bulldog named Mr. Quiggly, told CNNMoney they have bought time.